DashExec™ is a Powerful Corporate System which provides a unique great user experience for accessing valuable information in a single platform. It revolutionizes mobile access through its Next Generation Advanced Mobile Docking Platform for accessing corporate information in a high speed, interactive, and robust environment. DashVision™ Crossed Mobile Solution Platform is the next generation mobile delivery platform quick integration with existing corporate internal systems like Oracle, Sybase, Sap, etc. It is single point of access for EIS data, contents and services which is powerful platform with speedy response and secured environment. DashVision™ allow real-time information access, operation system access and also a rapid mobile solution platform for mobilizing business operation and executive information. 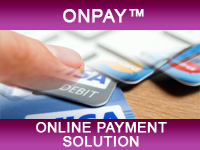 OnPay™ is a comprehensive online payment solution which help Internet businesses accepting online payment such as credit card and local direct bank payment. It provides convenience for Internet shoppers to easily purchase products and services online. With ONPAY™, customers can make online transaction payment safely and securely. It also provides fast processing of payment upon verification and authentification of customers. FlexSales™ is a Powerful Sales Solution allowing sales people to pro-actively following up with customers and closing sales. FlexSales™ is also a single point of access for executives to obtain and monitor the overall sales performance of sales person. It can improve the overall sales circles from sales lead generation to customer follow up and sales closing. With FlexSales™ it provides organizations with the latest most effective sales solution to step up sales revenue. TopAgent™ is a Comprehensive Mobile Insurance Solution that provides corporate executive dashboard as well as real-time application form submission (digital signature) for agents, supervisors and managers. 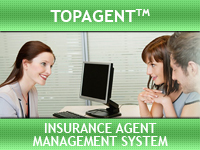 TopAgent™ is a quick-and-easy way to calculate the insurance premium in a single application and also enable to determine the amount of monthly personal or business loan installment. It is comprehensive and powerful application that allows instant calculation of monthly payment, total interest and total insurance Premium. 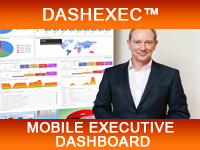 DashEvent™ allows tracking the events for all operational users. It facilitate managers and supervisors to monitor all the operations and also to improve operation efficiency and productivity. 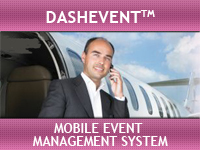 DashEvent™ enables event managers and oganizers to allow visitors access to events through mobile devices. It also able to view location on a floor map, make notes, attach images and perform various additional activities. It works virtually any web-enabled phone and tablets to make a reservation tickets or events anytime and anywhere. 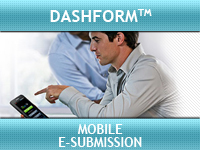 DashForm™ new and innovative mobile application which allows users to send form electronically using their mobile phone. DashForm™ revolutionizes form submission using latest and technological solution whereby there are no papers involved in the submission and the time to process is greatly reduced. DashForm™ comes with many great functionalities which is easier and quicker to retrieve submitted data for future reference. DashMedia™ is a powerful media system which provides blogs, e-commerce, a simple static page and more for great user experience. Communication, advertising and marketing in the media online will support businesses for capturing new potential clients and customers. 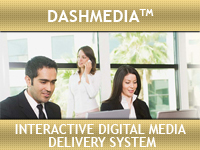 DashMedia™ is a web based application which enables users to access from anywhere and able to fulfill requirements and specifications. 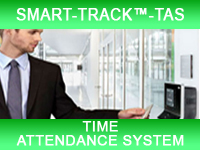 Smart-Track™-TAS which is Time Attendance System is a comprehensive mobile solution that automates the management, collection, and distribution of employee work hours in real time, as compared to conventional time and attendance system. Smart-Track™-TAS standardize and smoothen the attendance procedure and capture employees information accurately besides keep employees information confidential. 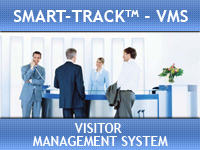 Smart-Track™-VMS is Visitor Management System provides a comprehensive visitor management for facilitating the check in and check out process of visitors. Smart-TrackTM VMS simplifies the registration process of visitors by capturing in formation securely and automatically via MyKad. Smart-Track™-VMS generate user friendly analysis and reports on securely and there is free staff to perform other productive tasks. 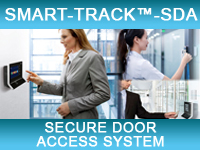 Smart-Track™ SDA known as Secure Door Access System is an integrated security door access system that controls, manages, and administers secured access ways for organizations. With Smart-TrackTM SDA, door access information can be collected and utilized for reporting and further analysis purposes. It can control and track the security access of designated compound or location and offer the flexibility to set specific access time for designated room. Smart-Track™ SDA can capture information of person on incoming and outgoing access. 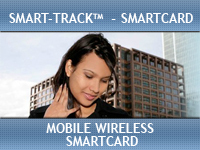 SmartTrack™ - Mobile Wireless SmartCard application is a specifically developed for mobile device to view and capture SmartCard information. It enable users to view, verify and update SmartCard information and view latest information of the SmartCard users. Besides that, it enable offline data entry on Blackberry and the device memory card provide mobility, easy to handle device and a user friendly system that support multi-lingual interface. 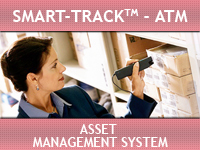 Smart-Track™-ATM is Asset Tracking Management System which assist organizations in every aspect of their assets in asset management, asset tracking, asset servicing, asset purchase orders, contracts and invoices in a single interface. It is a web-based application which enables users to access from anywhere that supports latest radio frequency identification (RFID) and barcode scanner. It also facilitate asset manager to track asset anytime and anywhere and it is also extendable to mobile access via mobile PDA. DashGeo™ is a powerful media system which provides a unique great user experiences for accessing valuable information in a single platform. 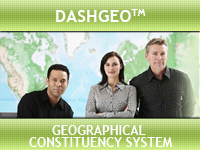 DashGeo™ is a geographical visualization system that designed to capture, store, manipulate, analyze, and present all types of geographically referenced data. The system allows users to view, interpret, and visualize in the form of map. 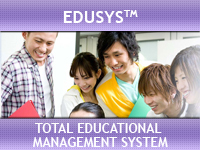 EduSys™ is a full educational management system that provides the complete information and management of students, regarding their assessment, financial, accomodation, facilities and other student's services of an academic institution. EduSys™ is an integrated solution that automates, streamlines and controls end-to-end process and procedures involve in a professional instituition. The benefits of EduSys™ is to provide value added services for the students, cut down on the instituition administration costand propel the institute to an elite level. 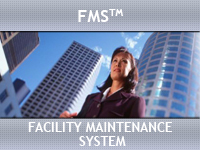 FMS™ offers a fully integrated building maintenance management system that includes work order planning and scheduling, preventive maintenance with building task libraries, inventory, purchasing, and reporting facilities to effectively manage the maintenance operations. FMS™ ensures a smooth flow of maintenance routine with powerful tools and features to automate your maintenance management. FlexVision™ is a comprehensive Executive Information System that allows organization to obtain critical information for executives in planning and decision making. With FlexVision, users can obtain highly interactive, dynamic, and presentable reporting. FlexVision™ provides the latest up-to-date technologies to ease executives in analyzing crucial information in a presentable visual format to grasp valuable information at a glance. DashMarket™ is the latest most effective and cost efficient marketing system. It provides a direct two-ways communication between companies and their customers so that businesses can increase their sales by effective way of promoting products and services through mobile devices. 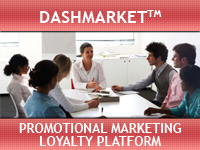 Dashmarket™ allows customer to conveniently knowing the specials offerings and accessing the gifts and rewards points offering by business. 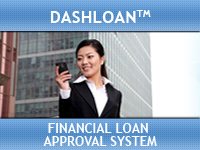 DashLoan™ is a latest mobile solution that facilitates bank loan officers and managers for timely loan approval or loan rejection. It also provides credit checking facility with central bank on loan applicants credit history. DashLoan™ is managing all loans, including mortgage loans, property home loans, auto car loans, student loans and lease loans. DashLoan™ support lease loans and includes much-awaited Loan Calculator, Interest Rate Calculator and Loan Term Calculator alongside the popular Monthly Payment Calculator. 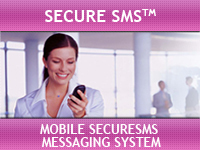 PowerSMS™ is an advanced SMS messaging System and integrated SMS Appliance Engine which equipped with two-ways highly availability messaging capabalities. It is built for corporate customers who need to have an efficient and cost-effective communication platform to reach out to a wider audience namely mobile users as well as allowing mobile users to request information in the timely manner.